BRAND NEW AND FACTORY SEALED!!! 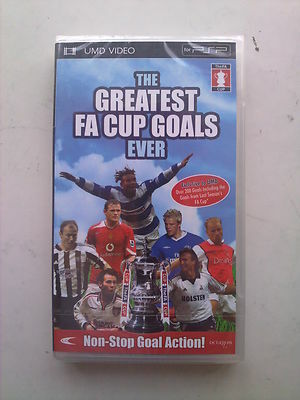 The Sensational FA Cup UMD takes you into a magical journey through footballing folklore.The most famous cup competition in the world has witnessedsome of the most exciting action that has ever taken place in an English footballl field. Wonderful matches filled with passion, tension and above all breathtaking goals! BRAND NEW AND STILL FACTORY SEALED!!!! !